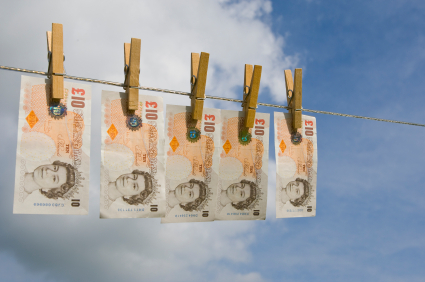 Although money laundering sounds a bit like leaving a tenner in your jeans and putting it through the wash, it’s a very serious criminal activity that occurs in almost every single country in the world. At its simplest, money laundering is the act of masking the source of your cash – so get shift money laundering legal advice if affected. Money may seem anonymous to us, but it can actually link you to illegal activity, if you’re a criminal and you don’t cover your tracks. The most common criminals who utilise money laundering are: embezzlers, con artists, drug traffickers, corrupt politicians, terrorists, and mobsters. So make sure you have the measures in place to counteract this. Stage one: placement. Dirty money begins its ‘cleaning’ process by being placed in a legitimate institution. This is an exceptionally risky stage for money launderers, as banks and other financial organisations are required by law to report suspicious money. Stage two: layering. The money will now move from bank to bank. It will be transferred overseas in varying amounts or will be invested in high value items, such as boats, houses, cars, and diamonds. The original, dirty money becomes tricky to trace, as it has travelled through many channels. Stage three: integration. Now, the money enters the mainstream economy. Once money launderers have reached stage three, they are effectively home free. Culprits are exceptionally difficult to catch, once they’ve got this far. Money launderers will often contact financial experts, as they will be far more successful, when it comes to hiding the cash’s source. Smurfing is often utilised – this is when large amounts of money are broken up into smaller packages, to make them appear less conspicuous. Overseas banks and offshore accounts are often chosen for money laundering, because some countries have banking secrecy laws that allow for financial anonymity. Shell companies are also a favourite way to launder money, as they are built with one thing in mind: money laundering. If possible, money launderers will attempt to invest in legitimate businesses and cream off the financial rewards. In most cases, these criminals will attempt a combination of methods. Depending on which organisation you ask, the amount of money laundered worldwide is between $500 billion and $1 trillion. And that’s a lot of money. Successful money laundering further encourages criminal activity. As the cash is largely untaxed, it also means that we all pick up the bill. In the United States, all anonymous banking has been abolished. Any transactions above the value of $10,000 are reported. All banks are obliged to identify their customers, as well as do background checks on depositors. If any suspicious activity takes place, it must be reported, or the bank could find itself in serious trouble. Most banks have internal teams that specifically deal with money laundering suspicions and make sure that no dirty money enters their system. If it emerges that a bank deals in dirty money, it can easily bring down their organisation.